Arsenal’s domestic season essentially rests on what takes place at Wembley this Sunday. Already eliminated from the FA Cup and incredibly unlikely to claw their way back into the Premier League’s top four, the Carabao Cup – ironically, the competition Arsene Wenger has shown the most indifference towards during his Gunners tutelage – represents Arsenal’s only chance to claim some form of success for their domestic 2017/18 campaign. Standing in their way though, are perhaps the biggest obstacle in English football right now – Pep Guardiola’s relentless, almost invincible Manchester City. The Citizens unexpectedly came unstuck against Wigan last time out, but that only raises the likelihood of the Premier League champions-in-waiting looking to make a statement in their first cup final under Guardiola. As perhaps the most important fixture of Arsenal’s season, Arsene Wenger needs to get his team selection perfectly right this weekend. 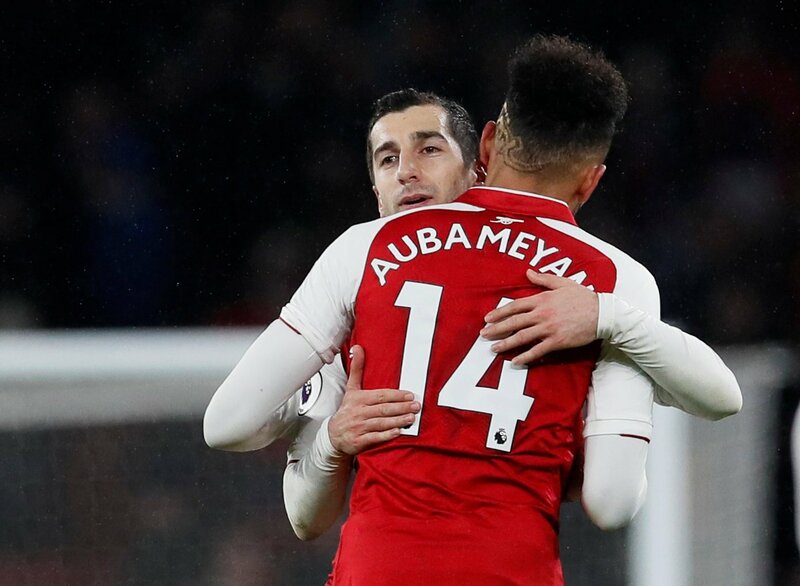 But the absence of cup-tied signing Pierre-Emerick Aubameyang inevitably creates a headache for Sunday’s clash, and the Gunners’ game-plan isn’t completely clear at this point. The last two Premier League games have seen 4-2-3-1 and 4-3-3, while it wasn’t long ago Wenger was still experimenting with 3-4-3. How would you line up the Gunners on Sunday? James: “I guess the challenge for Wenger so far has been that he hasn’t been able to play Aubameyang in the Europa League so he’s only had two league games in which to use his strongest attack. That’ll continue on Sunday; Mkhitaryan is ineligible for the EFL Cup after playing 21 minutes for Manchester United earlier in the competition. 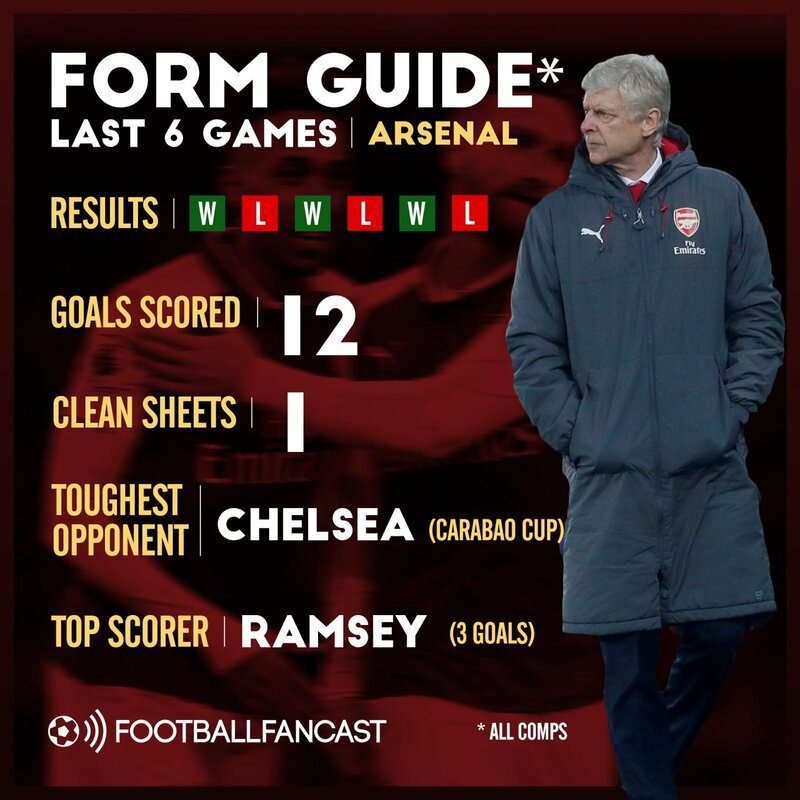 Arsenal have been nothing short of abysmal away from the Emirates Stadium this season. The Gunners are currently ninth in the Premier League’s away table, just one point above relegation-threatened Newcastle who have played one less game, and suffered on the road in the FA Cup too – eliminated at the City Ground by Championship outfit Nottingham Forest. Of course, Wembley will be a neutral venue this weekend, but Arsenal struggled there last time out in the North London derby as well, losing 1-0 to Tottenham. Why have Arsenal been so poor on the road this season, and will those problems affect them in a neutral ground as well? James: “Wenger insists he can’t understand why Arsenal struggle on the road but the answer seems simple – an inability to dictate games. That’s still an issue at the Emirates but when a rival crowd gets on their back the Gunners seem to lose all composure. That’s why they’ve contrived to throw away wins against Watford, Bournemouth and Swansea. Arsenal can take some comfort from the fact City’s aura of invincibility domestically took a blow for the second time this season on Monday night. 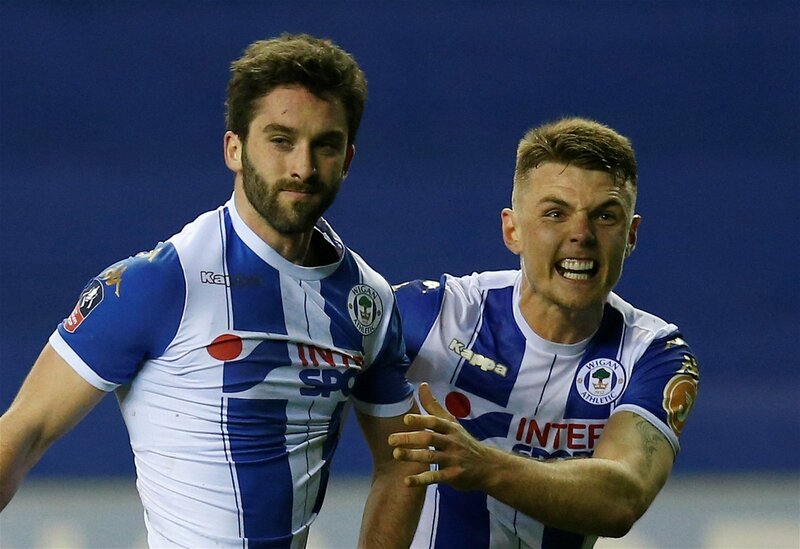 Following on from Liverpool’s 4-3 victory at Anfield, League One Wigan dished out the second defeat of City’s domestic campaign, eliminating them from the FA Cup. In terms of approach and tactics, how can Arsenal stop City on Sunday – and what can they learn from Wigan and Liverpool? And which Arsenal player will have the most important job at Wembley on Sunday?